I am a computer architect in NVIDIA Research. 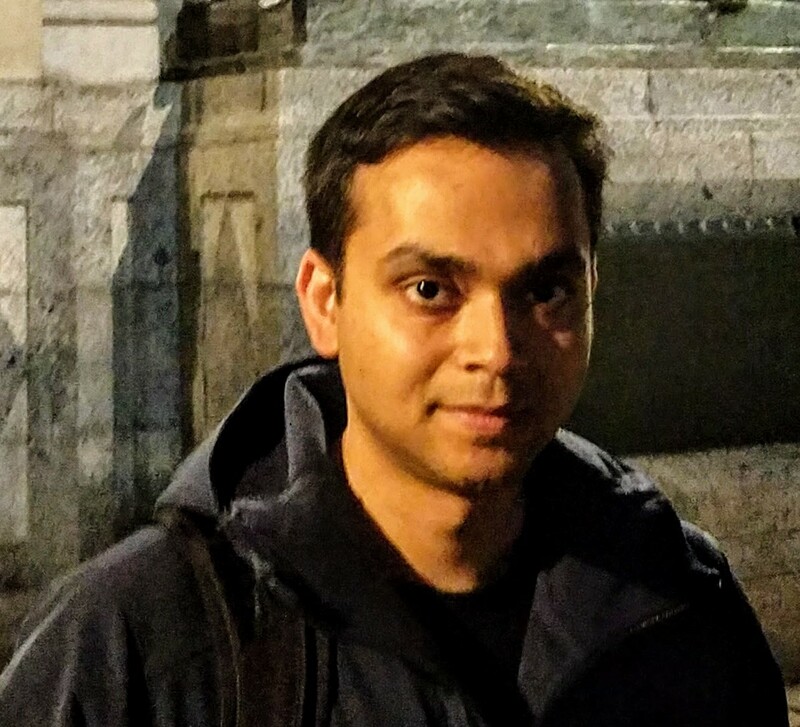 My research focuses on realizing energy-efficient, high-performance memory and processor architectures that will power future supercomputers and artificially intelligent machines. I received my PhD in computer engineering from the University of Utah under the guidance of Dr. Rajeev Balasubramonian in 2013. I interned at AMD Research and HP Labs in the spring and fall of 2012, respectively, and developed EDA tools for Atrenta (now Synopsis) for a year in India after receiving my B.E. degree from Jadavpur University (2007). Most publications are copyrighted by the IEEE or the ACM. Please respect these copyrights. Typically, personal or classroom use is granted; papers cannot be duplicated for commercial purposes. Sangkug Lym, Donghyuk Lee, Mike O'Connor, Niladrish Chatterjee, Mattan Erez. 20th IEEE International Symposium on Performance Analysis of Systems and Software (ISPASS), Madison, USA, 2019. Saugata Ghose, Abdulla Giray Yaglicki, Raghav Gupta, Donghyuk Lee, Kais Kudrolli, William X. Liu, Hasan Hassan, Kevin K. Chang, Niladrish Chatterjee, Aditya Agrawal, Mike O'Connor, Onur Mutlu. Proceedings of the ACM on Measurement and Analysis of Computer Systems (SIGMETRICS), Irvine, USA, 2018. Minsoo Rhu, Mike O'Connor, Niladrish Chatterjee, Jeff Pool, Youngeun Kwon, Stephen W. Keckler. 24th IEEE International Symposium on Higher Performance Computer Architecture (HPCA), Vienna, Austria, 2018. Donghyuk Lee, Mike O'Connor, Niladrish Chatterjee. Mike O'Connor*, Niladrish Chatterjee*, Donghyuk Lee, John Wilson, Aditya Agrawal, Stephen W. Keckler, William J. Dally. 50th IEEE/ACM International Symposium on Microarchitecture (MICRO), Boston, USA, 2017. Gwangsun Kim, Niladrish Chatterjee, Mike O'Connor, Kevin Hsieh. 30th IEEE/ACM International Conference for High Performance Computing, Networking, Storage, and Analysis (SC), Denver, USA, 2017. Kevin K. Chang, Abdulla Giray Yaglikci, Saugata Ghose, Aditya Agrawal, Niladrish Chatterjee, Abhijith Kashyap, Donghyuk Lee, Mike O'Connor, Hassan Hassan, Onur Mutlu. Proceedings of the ACM on Measurement and Analysis of Computer Systems (SIGMETRICS), Champaign-Urbana, USA, 2017. Niladrish Chatterjee, Mike O'Connor, Donghyuk Lee, Daniel R. Johnson, Stephen W. Keckler, Minsoo Rhu, William J. Dally. 23rd IEEE International Symposium on Higher Performance Computer Architecture (HPCA), Austin, USA, 2017. Kevin Hsieh, Eiman Ebrahimi, Gwangsun Kim, Niladrish Chatterjee, Mike O'Connor, Nandita Vijaykumar, Onur Mutlu, Stephen W. Keckler. 43rd ACM/IEEE International Symposium on Computer Architecture (ISCA), Seoul, S. Korea, 2016. Manjunath Shevgoor, Rajeev Balasubramonian, Niladrish Chatterjee, Jung-Sik Kim. 17th IEEE International Symposium on Performance Analysis of Systems and Software (ISPASS), Uppsala, Sweden, 2016.
International Symposium on Memory Systems (MEMSYS). Washington D.C., USA, 2016.
International Symposium on Memory Systems (MEMSYS). Washington D.C., USA, 2015. 27th IEEE/ACM International Conference for High Performance Computing, Networking, Storage, and Analysis (SC), New Orleans, USA, 2014. 46th ACM/IEEE International Symposium on Microarchitecture (MICRO). Davis, USA, 2013. 45th ACM/IEEE International Symposium on Microarchitecture (MICRO). Vancouver, Canada, 2012. 18th International Symposium on High Performance Computer Architecture (HPCA). New Orleans, USA, 2012. 15th International Conference on Architectural Support for Programming Languages and Operating Systems (ASPLOS), Pittsburgh, USA, 2010. 37th ACM/IEEE International Symposium on Computer Architecture (ISCA). St. Malo, France, 2010. Course at the 41st International Conference and Exhibition on Computer Graphics and Interactive Techniques, Vancouver, Canada, 2014. 1st Workshop on Approximate Computing Across the System Stack (WACAS),held in conjunction with ASPLOS-2014, Salt Lake City, USA, 2014. 5th Workshop on Energy-Efficient Design (WEED), held in conjunction with ISCA-2013, Tel Aviv, Israel 2013. University of Utah Technical Report, 2012. 5th Workshop on Unique Chips and Systems, held in conjunction with ISPASS-2009, Boston, USA, 2009.